Steven Lilly is a good friend of mine. 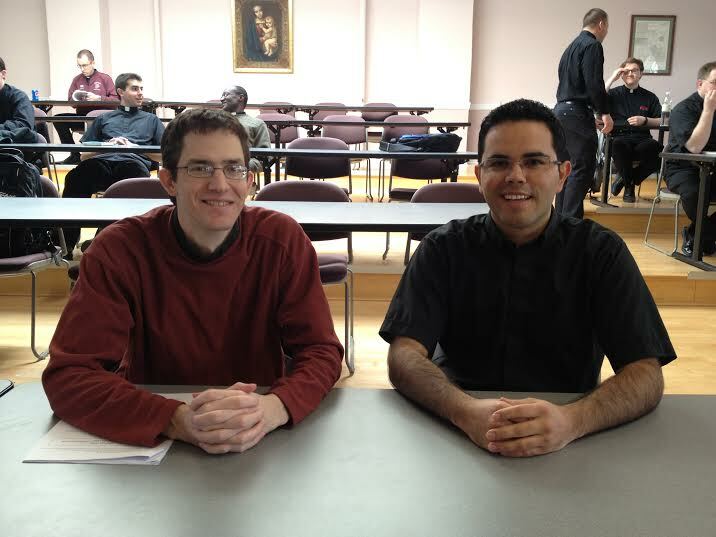 He is studying for the archdiocese of Chicago and he is in my group, in first year theology. Something that I appreciate and admire about Steven is his strong desire to work for others, not only in missionary work, but also with the “Peace and Justice Gospel of Life” that is a group at the seminary. Now, I would like to ask him some questions to share with all of you. First of all, Steven, what inspired you to engage in missionary work before coming to the seminary? How did you find the missionary work or opportunities? From a young age I had an attraction to service. I grew up in an environment where there was a strong emphasis on caring for those in need, and when I finished college I wanted to pursue that further through how I was living my life. However, I didn’t just jump right in. Growing in that desire has been a slow process that has stretched over many years and that continues today. From such experiences as helping out at my parish food pantry to hearing the scriptures proclaimed at mass, God has been leading me to more deeply engage the outward movement of the Christian life. I was blessed to have served with the Salesian Lay Missionaries in Ethiopia; however, there are tons of other programs. One of the best ways to discover long-term volunteer or mission opportunities is through the Catholic Volunteer Network: https://www.catholicvolunteernetwork.org/. Every year they publish a catalog that includes over 200 different programs that are seeking volunteers for their programs. It’s a good place to start researching opportunities. You can narrow down the listed programs through criteria such as the region served, the length of the program, the size of the program, and the religious affiliation. You are very involved with peace and justice at the seminary. How do you see that as important for men studying for priesthood? It is important to be involved with issues of peace, justice, and life because a candidate for the priesthood is to be molded after the model of Christ, the Good Shepherd, who came “to bring glad tidings to the poor.” The love of God is not for just a few, but for all. Pastores Dabo Vobis, an Apostolic Exhortation on the formation of priests, states, “The whole formation imparted to candidates for the priesthood aims at preparing them to enter into communion with the charity of Christ the good shepherd” (57). Thus, as candidates for the priesthood, we need to cooperate with the action of the Holy Spirit and follow Christ’s example of going to the margins so that through the Holy Spirit we may more fully participate in Christ’s own love, which is to be shared with everyone. What about non-seminarians? Do they have a role in peace and justice work? Of course! This mission is not primarily rooted in being a priest. Rather, it finds its source in our baptism. We have been grafted into Christ, and therefore, we participate in Christ’s own life and love. We share Christ’s love with others when we perform acts that promote peace and justice. As Deus Caritas Est explains: “The entire activity of the Church is an expression of a love that seeks the integral good of man: it seeks his evangelization through Word and Sacrament, an undertaking that is often heroic in the way it is acted out in history; and it seeks to promote man in the various arenas of life and human activity. Love is therefore the service that the Church carries out in order to attend constantly to man’s sufferings and his needs, including material needs” (19).